New to the program this year is a feature that allows you to also enter in behavioural interaction data. 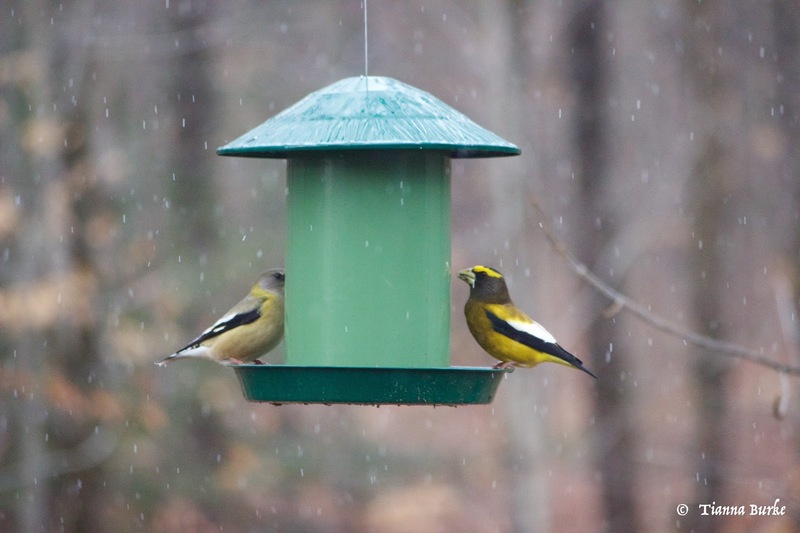 This gives a little more insight into the different bird interactions that are happening at your feeders. 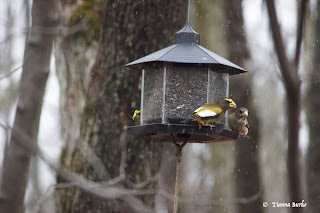 For example, last week I reported blue jays that were frequently displacing our purple and goldfinches from our feeders. 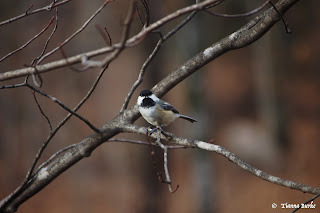 With the lack of snow at the beginning of the feederwatch season, we hadn’t seen too many birds other than Black-capped Chickadees. However within the last week Parry Sound has been seeing a little more of a cold front come in bringing temperatures down closer to 0 degrees; with this change in temperature also brought a few inches of snow within the last day or two. 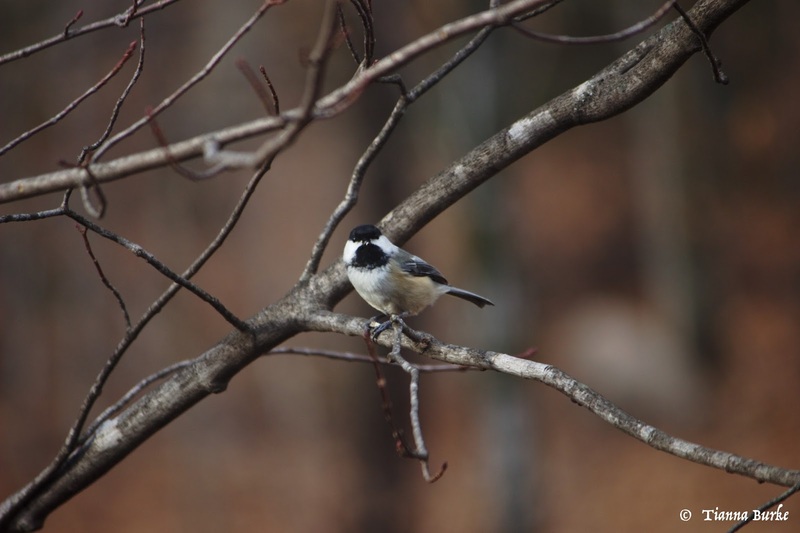 Our feeders have been very active with the Black-capped Chickadees and Goldfinches. 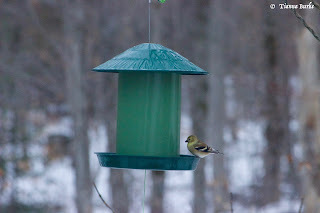 Daily we will also see one pair of Purple Finch drop in for an hour or two. 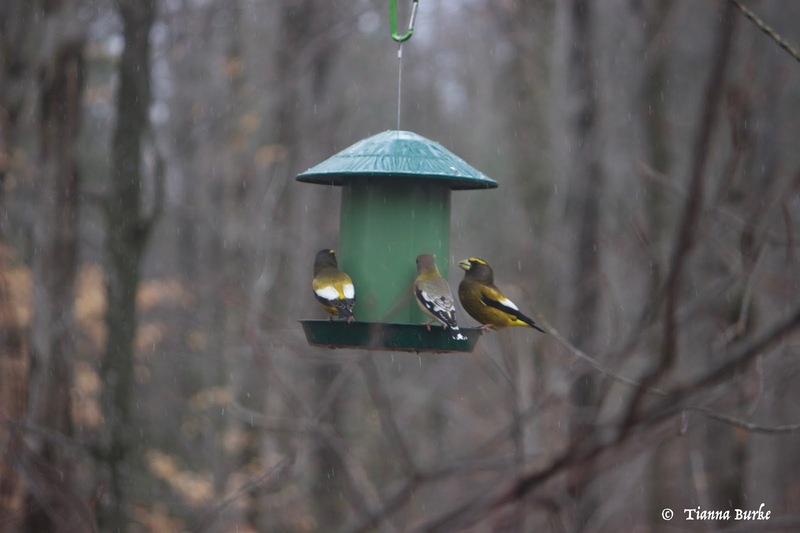 I’ve heard of some places reporting Pine Siskins being back, however we haven’t seen a single one this season yet! With the snow came two exciting finds for Mike and I here in Parry Sound. 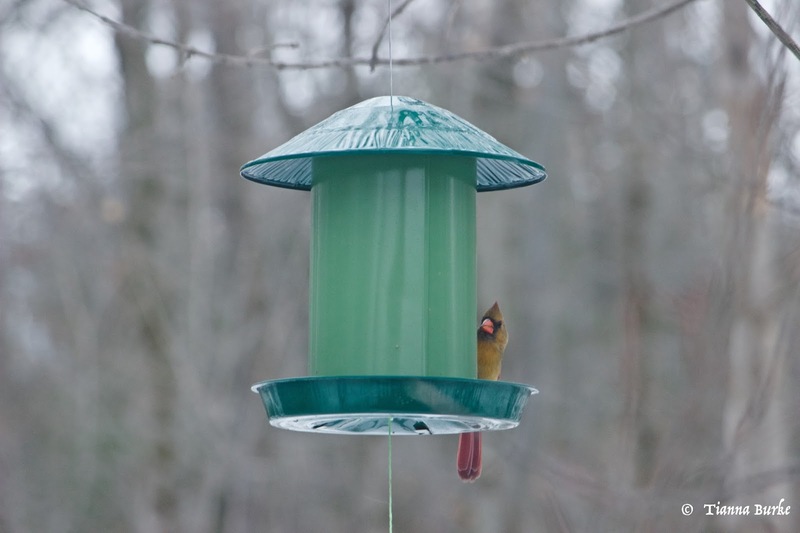 The first, while probably boring in most other parts of Ontario, was our very first Cardinal. Mike has been here for 4 summers now, with me visiting off and on, and we had yet to find a cardinal as this area is just slightly out of range. 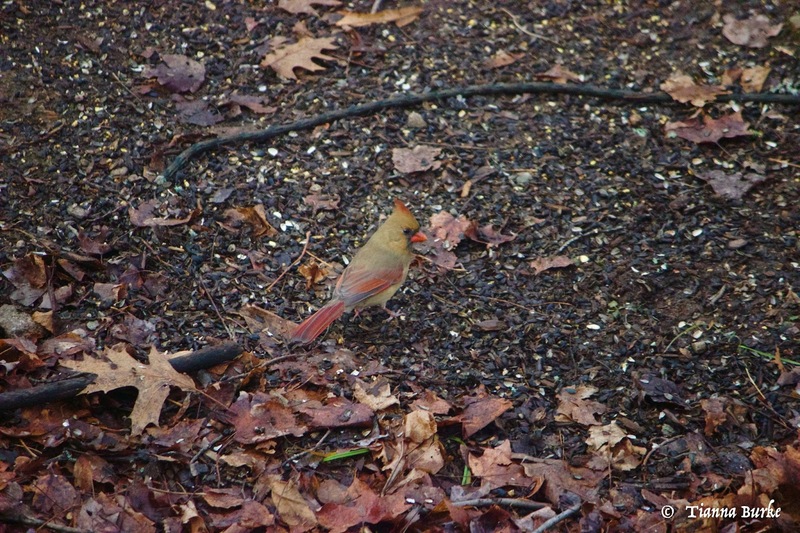 So we were very shocked one day to see this lovely female picking up seeds from the ground. 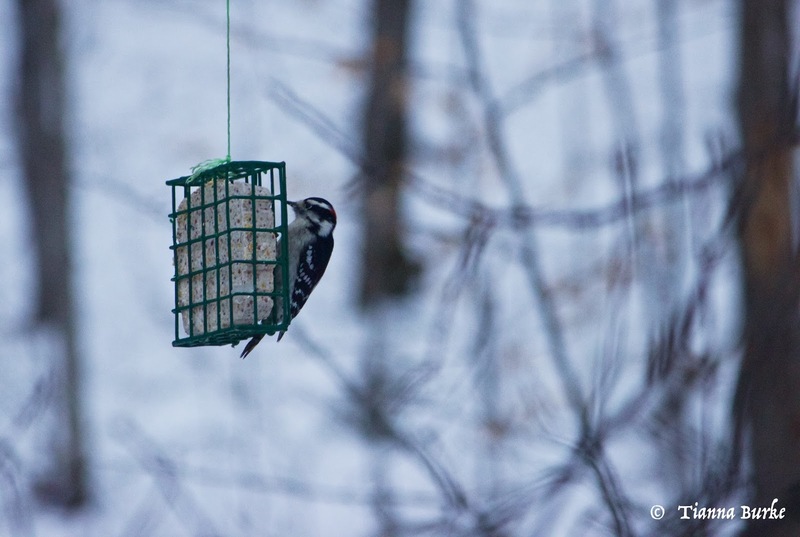 She has been to our feeder everyday since and, I imagine, will likely be a regular visitor throughout the winter. 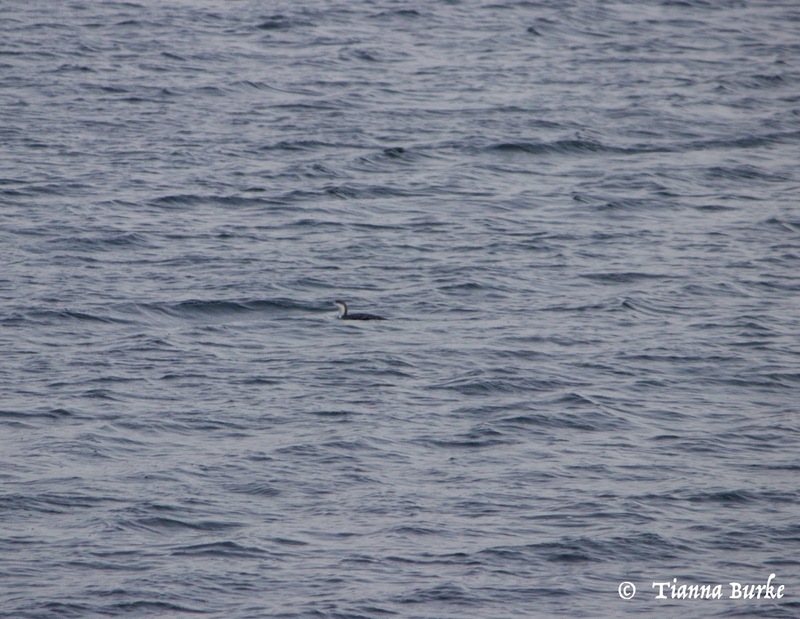 The second bird was incredibly exciting as it was a lifer for both Mike and I. 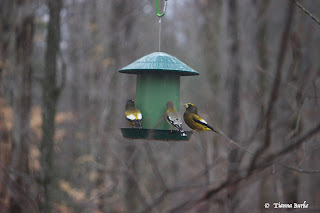 While I was visiting Peterborough last week, Mike had sent a text with a photo of a beautiful yellow bird at our feeder, knowing that I would be incredibly jealous. I have been working from home for the last month or so, rarely leaving the house, so it is only natural the day I finally did leave a lifer would come to our feeder. What was it? An Evening Grosbeak! Luckily (for him!) a flock of them came by again the next day when I arrived back home! They haven’t been back over the last few days, but hopefully we will see them off and on throughout the season. 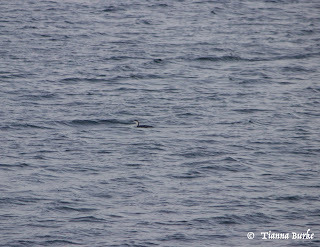 While in Peterborough, I also went on a quick trip downtown to see the Red-throated Loon on Little Lake.